To mark International Women’s Day and National Women’s Month, we profile three Filipinas working to promote and protect children’s rights in the country— and contributing to national development. Before working for the local government, Samia worked overseas for more than 10 years to help her family. Today, she helps hundreds of families stay healthy in her work as a sanitary inspector. 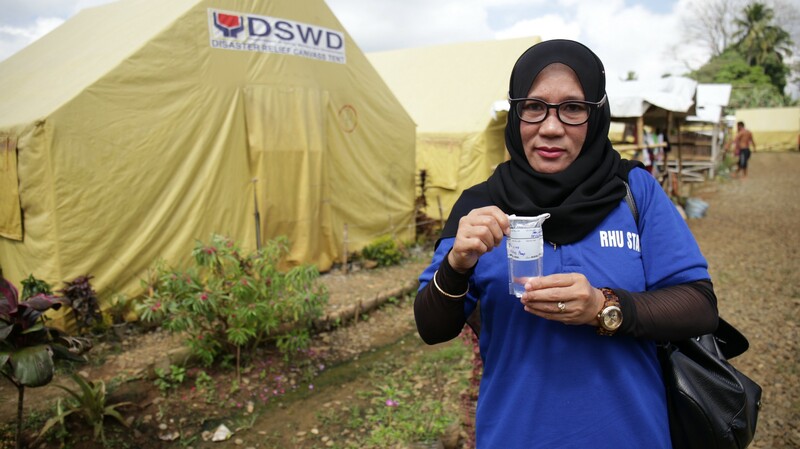 Samia monitors the environmental sanitation of communities and two evacuation centers assigned to her. “I look into how people dispose of their garbage, how they use the toilet and wash their hands. I’m also in charge of water sampling in communities,” she explains. “I think my work is important because dirty water and improper hygiene can cause people to get sick from sicknesses such as diarrhea, vomiting and rashes,” she said. 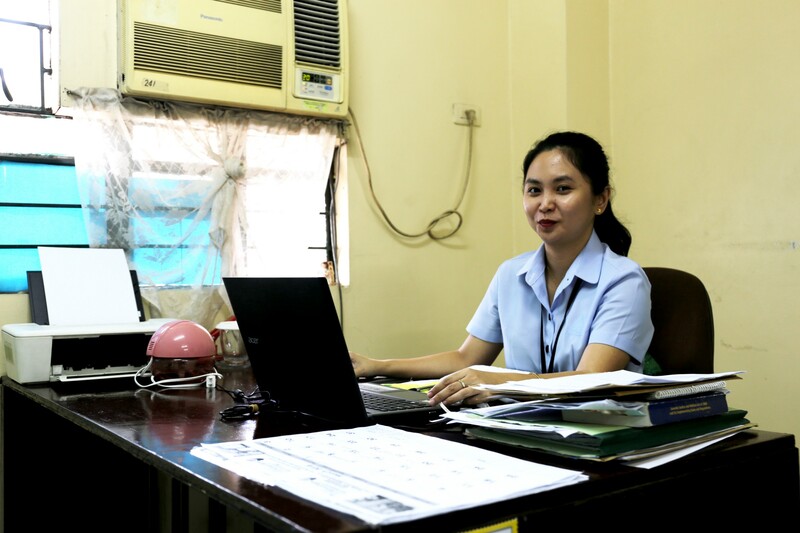 Marisol’s job is to make sure that children who committed crimes in Quezon City receive the services, support and guidance they need to help them reintegrate into society. There are 238 children under her watch in Molave Youth Home, a center that provides shelter and social services for children in conflict with the law. “There really is a stigma against them. Children shouldn’t automatically be thrown in jail just because they committed a crime. The community and social workers should work together to help the child,” she said. Marisol leads a staff of 50 at Molave. She and her team advocate for the stronger implementation of the Juvenile Justice and Welfare Act and to address the root causes of why children commit crimes. “They are not problems of society. They are just a reflection of the environment they live in,” she said. It’s a challenging job, but what motivates Marisol is seeing the positive results of her work. “I’m happiest when I see these children change. Even just learning simple manners like saying ‘po’ and ‘opo’, that’s already a big deal,” she said. 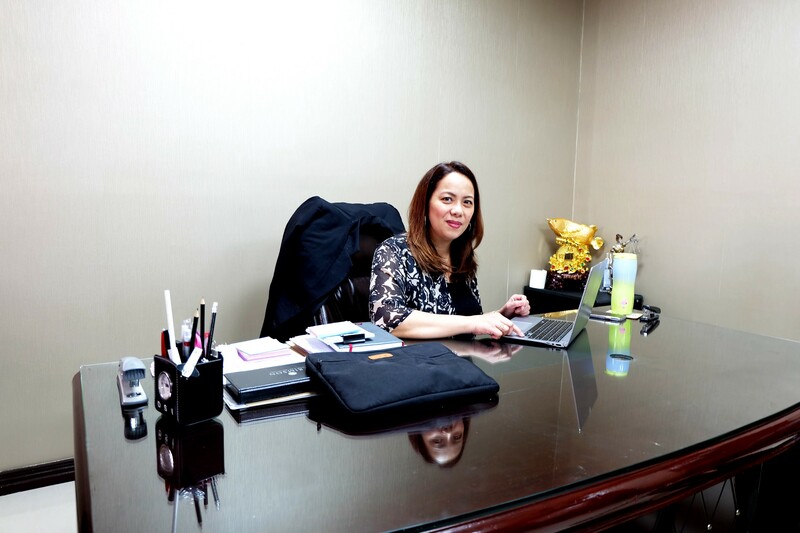 Janet is the first woman to lead the National Bureau of Investigation’s (NBI) Anti-Human Trafficking Division, which handles cases of online sexual exploitation of children in the Philippines as well as other human trafficking cases like illegal recruitment. As head of her unit, she leads a team of agents and works with local and international partners to handle cases and arrest perpetrators in the country. It’s a tough job. Investigating cases of online sexual exploitation of children can take several months and the work takes a toll on agents’ well-being. “It stays in your head even if you’re already asleep. You see the children being abused. It’s hard. You need to be strong and brave,” she said. What keeps Janet going? “I’m a mother. I don’t want any child to be abused. Even if it’s hard to prosecute the offenders, I really find ways to rescue the children,” she said. This passion drives Janet to continue improving the NBI’s efforts to fight human trafficking. “Maybe that’s what’s different about being a woman. They say we’re too emotional. But this is not just a job. This is about how we care for children,” she said. For more information about UNICEF’s work in the Philippines, visit www.unicef.ph.